Our best selling telephone systems are the Horizon Hosted Cloud system and the Panasonic NS-700 Office system, both of which are clear market leaders in the UK today. 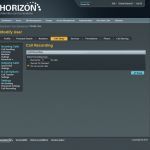 Horizon Hosted Telephony is a Cloud-based telephone system which means the switching equipment is hosted in a remote Data Centre and calls are made using VoIP over the Internet. 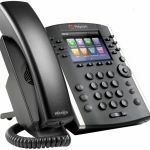 Each system comes with Free Polycom VVX 411 handsets on a 3 year deal as long as you use one of our specialist VoIP services for Internet connectivity, such as a Converged voice & data circuit whereby a small amount of required bandwidth is permanently segregated off for voice-use only to ensure high quality speech at all times regardless of how much data is being downloaded with the rest of the bandwidth available for general Internet usage. 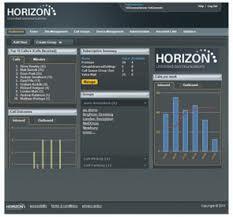 In the majority of situations it will provide substantial cost savings with regard to both initial outlay and on-going costs as well as providing State-of-the-Art facilities as standard which are normally expensive bolt-ons with traditional phone systems, such as Call Recording, Automated-Attendant, Call Analysis Software, Voicemail messages received as emails and multi-site networking. The Panasonic KX-TEA 308 & 824 range are small basic Analogue systems with a choice of 2 Control Unit sizes with the KX-TEA 308's maximum capacity of 3 lines and 8 extensions and the KX-TEA 824 up to 8 lines & 24 extensions. They provide a cost effective and user-friendly telephony solution for those who simply require all the standard telephone system facilities. The Panasonic NS 700 & 1000 range are our best selling telephone systems, ideal for both standard offices with Analogue and/or ISDN lines and situations where SIP Trunks, Remote Workers and IP Branch Networking are required. 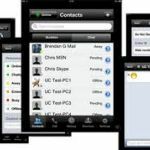 Of the many additional options available with these systems are Call Centre Software telling callers place-in-queue and estimated answer time, Unified Messaging inc voicemail-to-email, Mobile Apps and Call Recording. This is the very latest system from Panasonic primarily designed for IP handsets and SIP Trunks only and typically most suitable for larger organisations from 30 extensions up to over 1000 users and it is also more cost effective where soft-phones and SIP devices are used fairly extensively due to it coming with inclusive user-licensing for these devices rather than being add-on facilities.